Thank you for digging deeper. I feel it is important to know something about the qualifications of the people who assist you in the training of your dog. I hope you find the following information helpful. 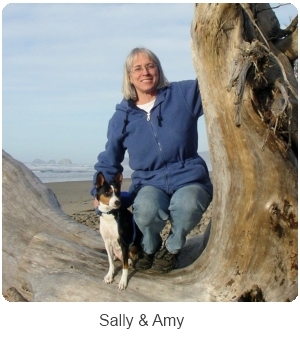 I have been training in the Portland area for more than twenty years. Prior to that I was an instructor and administrator at Oregon State University and Linn Benton Community College for another seventeen years. 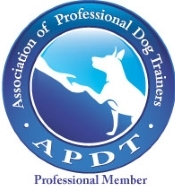 I am a member of the Association of Professional Dog Trainers and have served as a presenter at two of the annual conferences held around the United States. I have also served a three year term as a member and Vice President of the Board of Directors for the Certification Council for Professional Dog Trainers (CCPDT). Click here to see more about this certifying body. My passion in working with dogs is to help individuals and families be able to learn how to get the best from their four legged family members. Dogs hold an important part in our lives and helping you have a mutually happy and rewarding relationship is my goal. Many dog trainers focus on various types of competitive dog sports. While I am happily learning the sports of agility and K-9 Nose Work with my Molly, I still focus my teaching on the importance of being a well behaved family member first. Many of my students take this good foundation and go on to competitive activities with their dogs. Whatever your ultimate goals are, a good beginning is essential. I use modern, positive reinforcement based training techniques. There is excellent research and experience to support the newer approaches. It is possible to have a trained dog using older, traditional force and aversive techniques, but it is not necessary. It is also not necessary to ‘dominate’ your dog or to be ‘alpha’. These are outdated concepts unfortunately still popular on television and in other popular media. The relationship you have with your dog can be so much more rewarding with the newer positive methods. Also, newer techniques can be much safer for children to use. Safety for you and safety for your dog are very important to me in selecting training exercises during class and for your practice at home. Check out the recommended reading page for some good books on modern techniques.